BEST SELLER! 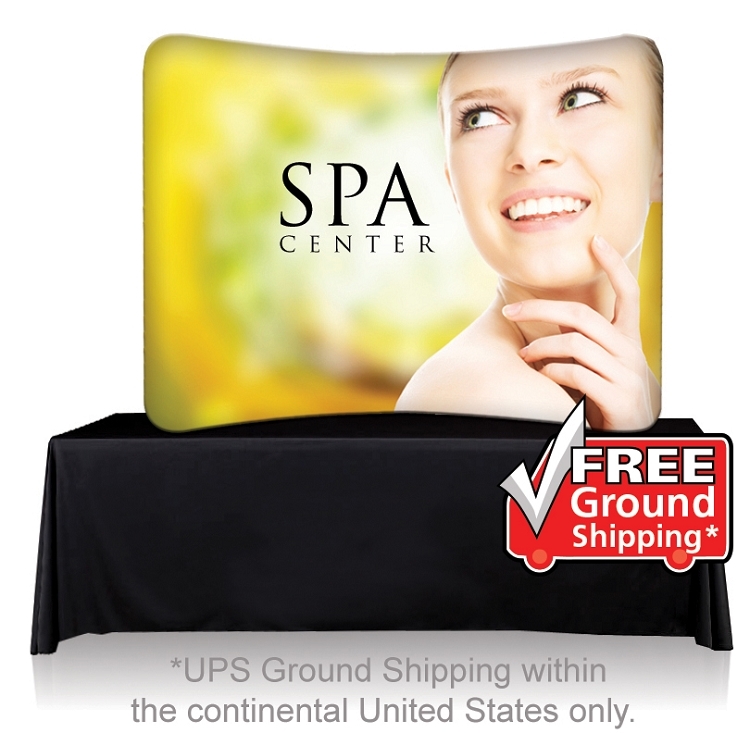 An innovative pillow case style graphic slips over the frame for a seamless table top display. Modern updated design looks great on a table. 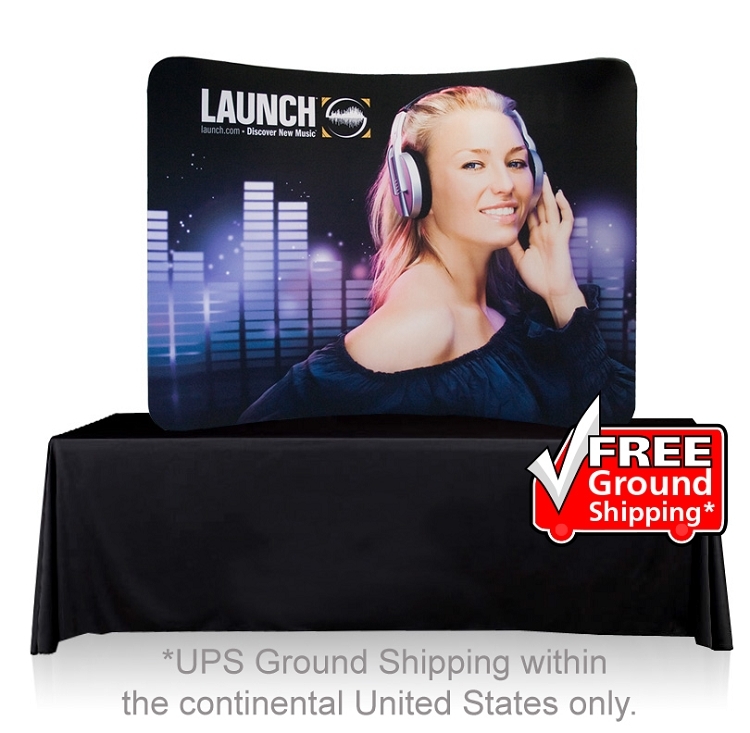 Our Eazy Table Top Display features a stretch pillowcase style graphic that slips over a tube style frame. Just zipper close and you’re ready for your trade show. Available one or two sided in either a table top and floor model. Choose straight, curved or S-Shape. When you’re ready for a new graphic, simply order a replacement panel and re-use the display again and again! This display wall arrives in about 5 business days to most business addresses in the US. Order a one sided display and the back side is unprinted white fabric. Or, order a two sided print if your table is being approached from both sides. We always do our best to provide accurate, color calibrated printing. If color is critical, please request a printed proof for $59 (additional time is needed). Also check out our floor model of this display.